LEO VARADKAR has told the UK the EU is “not a prison” and Britain does not have to stay but it is not going to be kicked out either. The comments come after the UK was granted a new Brexit deadline of October 31st – Halloween. The Taoiseach was among EU leaders locked in talks over the extension at EU headquarters in Brussels. 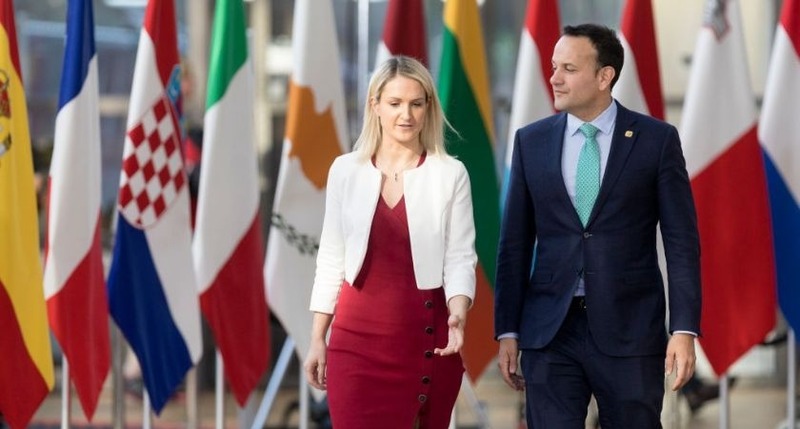 Emerging in the early hours of the morning – 3am Irish time – the deal offers the UK some breathing space to find a way through their current Brexit impasse. Emerging from the summit, Varadkar appeared on good terms with German Chancellor Angela Merkel and French President Emmanuel Macron. Speaking to Irish journalists outside of the Consilium in Brussels, Varadkar laid out the terms of the extension. “We’re all done, the agreement is that there is going to be a (sic) ‘flextension’ until the 31st of October, but if they ratify the Withdrawal Agreement before that they can leave earlier,” he said [via the Irish Mirror]. “They will have to participate in the EU elections (on May 23rd and 24th) and if they do not they will have to leave without a deal on June 1st. “We’ll review progress at our regular EU Council meeting in June, but that won’t be a decision-making one, it will just be an ordinary one as such. “The European Union is not a prison, nobody has to stay, but it’s also a home and we’re not going to kick anyone out either,” he added. The deal is still dependent on British Prime Minister Theresa May getting approval from the House of Commons before the 11pm deadline on Friday April 12th.